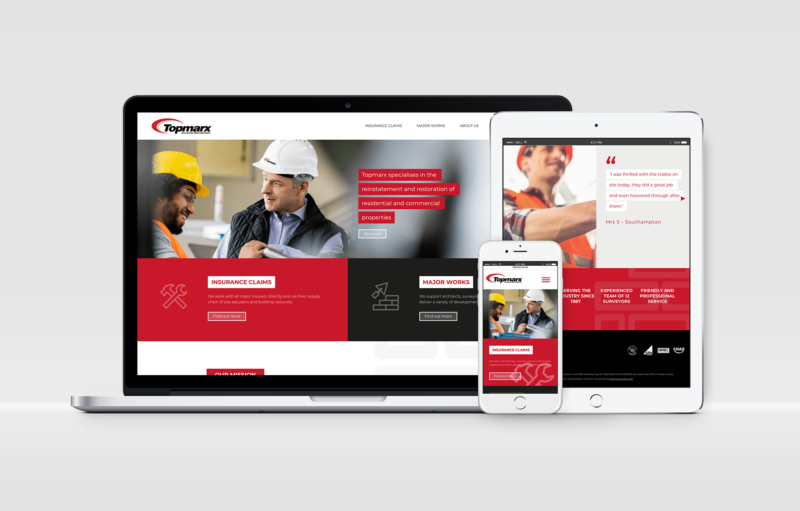 It’s always extra special to help local companies, so when Glow was approached by Topmarx, a leading and well-established construction company from Shedfield – that’s our neighbouring village to Wickham  – to create a new website, we were delighted to assist. 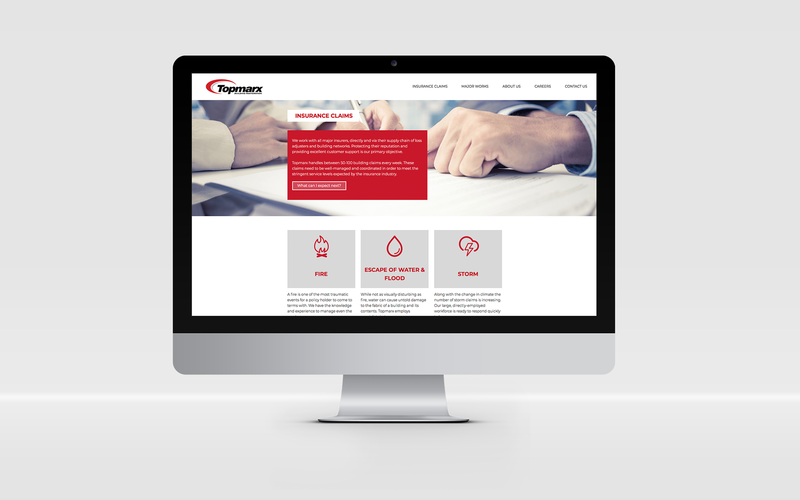 Glow’s brief was to create a simpler, more professional website, with less content which reflected the company vision and brand. Our chosen design (we supply 2 x concept ideas to offer alternative style options) is contemporary with a modular design. 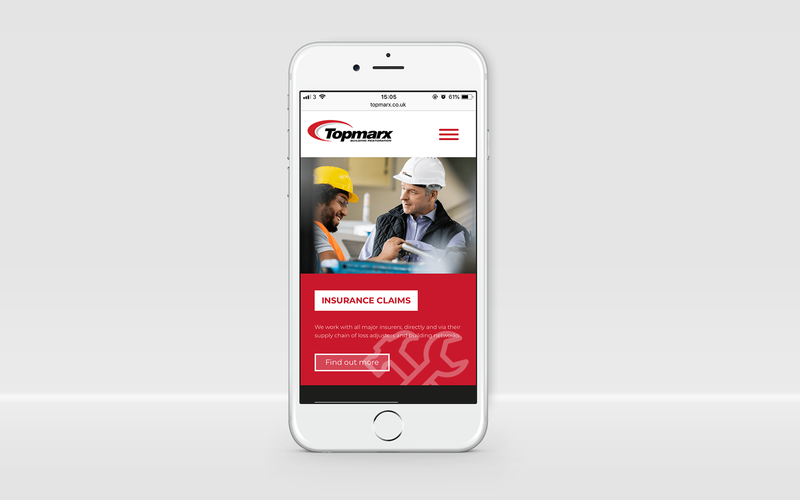 We introduced a split banner to focus on the two key areas of the business: Insurance Claims and Major Works. This provides a clear User Interface (UI) for visitors. We also wanted to highlight the use of people images to promote customer service, and icons to easily digest the areas Topmarx works within. Another lovely feature on the website, is the customer scrolling testimonials. And what great testimonials they are; a true testament to the craftmanship and professionalism of the team. Check them out, you’ll want to work with Topmarx too! Topmarx specialises in the reinstatement and sensitive restoration of residential and commercial properties after Fire, Flood, Subsidence, and all other disasters. They have completed a wide range of projects ranging from hundreds of pounds to more than four million pounds. Clients include blue-chip organisations, public authorities, housing associations, and a range of domestic and commercial clients. We wish Topmarx all the best and hope they continue to grow from strength to strength. And remember the name too, we’re sure you will see the Topmarx vans everywhere now, we do!